In many of the Ehlers-Danlos Syndrome patients we see, there is a longing for understanding. This unfulfilled desire to know what was wrong with them have led these patients through a journey of years of bouncing between clinician and clinic, from doctor to alternative practitioner, from self-help guideline to self-help guideline with few answers and little help. What we hear about the most, is that these people ask why it took years to figure out what was wrong with them. Why do they have so much pain? Why had they been to countless health care providers over years, and in some cases decades, and came out of all this no better, more confused, and seemingly hopeless that anything can help them? We can only explain that medicine is still reaching for answers. These people are in our office because they have come to explore Prolotherapy, a treatment that they had never heard of, or been recommended to but they found out about in hEDS discussion groups or through their own internet research. In this article, we will lay the foundation for the treatment of patients suffering from Ehlers-Danlos Syndromes, specifically Hypermobile Ehlers-Danlos Syndrome and Hypermobility Spectrum Disorders with Prolotherapy injections. The treatment is designed to stimulate connective tissue growth and rebuilding in damaged painful joints where there is collagen deficiency. Patient outcomes are described below. Research: Overall expert consensus indicates that pain medications are often not effective in long-term treatment. The idea that Hypermobile Ehlers-Danlos Syndrome and Hypermobility Spectrum Disorders can be managed long-term with pain medications, anti-inflammatories, and opioids is being discredited. These pain medications can be beneficial in the short-term, detrimental in the long-term. In November 2018, a review of patient outcomes and the medical research surrounding the management of pain was published in the medical journal Medicine (1) by a team of Canadian researchers. This review is a guide to helping other doctors understand the pain challenges of Ehlers-Danlos Syndromes patients. Chronic pain is common in EDS, particularly in the hypermobility type. According to 1 study, nearly 90% of patients report some form of chronic pain. The most commonly involved joints are the shoulder (80%), hands (75%), and knees (71%). “Clumsy” or “Klutzy” behavior. The researchers suggest that patients will often describe themselves in this manner because among balance issues (poor proprioception see below), they are constantly dropping things. The recurrent dislocations due to joint laxity and associated trauma are further amplified by poor proprioception, (the body’s sense of awareness in space and movement and the communication, or lack of coordination to the limbs to keep the body steady and no fall over.) This leads patients to have a fear of falling and kinesiophobia (being afraid to move) which are common complaints. Catastrophizing thoughts are also present. Doctors should look for TMJ pain that can also be a significant source in disability in 70% of Ehlers–Danlos patients. Severe chronic fatigue is now considered a common accompanying feature of EDS. It is reported in up to 95% of patients and in many cases was reported by patients to be more debilitating than pain. The frequency of fatigue is influenced by age. High prevalence of anxiety and panic disorders. What type of pain medications should be offered? Tylenol and nonsteroidal anti-inflammatory medications (NSAIDS) are suggested for mild to moderate pain. However, the use of NSAIDs is limited due to poor tolerance secondary to comorbid gastrointestinal issues in EDS patients. Opioids may be an option, but only for a short duration. There is good evidence that long-term treatment with opiates is not a viable option and may lead to central pain sensitization. Tramadol could be considered as an alternative. Steroids have been found to be helpful in acute exacerbation of joint pains. However, care must be taken to avoid long-term use to prevent steroid-related side effects. For nerve-related pain tricyclic antidepressants, anticonvulsants, serotonin and norepinephrine reuptake inhibitors, and other antidepressants may be used with caution given an increased risk of dysautonomia in EDS. Muscle relaxants such as baclofen can be helpful for painful muscle spasms but are discouraged for routine use due to the theoretical risk of increasing joint instability and consequently worsening pain. No evidence exists regarding the use of medical marijuana in the treatment of EDS patients. Anecdotally it works better than opioids. Overall expert consensus indicates that pharmacological treatments are often not effective in long-term treatment. antidepressants; over time, stronger medications (including narcotics) and higher doses may be required to deal with the effects of chronic pain. These medications are helpful in the management of symptoms that prohibit patients from carrying out certain activities, but they have no effect in treating the underlying pathology of hypermobility and, in some cases, they may actually have a negative effect on joint tissues. 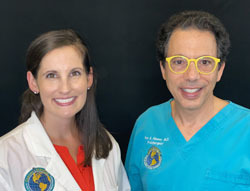 When we see patients with Hypermobile Ehlers-Danlos Syndrome and Hypermobility Spectrum Disorders we understand the amount of pain that can be involved, we also need for the patient to understand what we are going to try to do is get rid of the pain by regenerating and repairing and healing connective tissue with Prolotherapy injections. The way we go about pain management is we try to heal joint and connective tissue damage. Understanding the treatment program is crucial. One of the incredible things about Ehlers-Danlos Syndromes is the amount of confusion it can create in some patients and their doctors. A patient will come into our clinics having an idea that there are different classifications of Ehlers-Danlos Syndromes but unsure which one impacts them. Once in a while we will hear a patient say that they never got a classification because their primary doctor told them the classifications didn’t matter because there is nothing that can be done about it, there are no effective treatments. Other patients will discuss their “medical team.” They have a neurologist, orthopedist, general practitioner, nutritionist, physical therapist, and others. The patients will say that these providers are all working hard for them but they are not getting any better. In 2017, the American Journal of Medical Genetics published an internationally agreed upon 2017 EDS Classification. This was the first such classification update since 1997. The new classifications seek to more specifically identify EDS patient symptoms and try to offer a recommendation to seek treatment. Nosology is the study of diseases. It derives from the greek Nosos (diseases) and logia, the study of. Nosologies for Ehlers-Danlos syndromes have been revised for decades. Categorization of the Ehlers-Danlos syndromes began in the late 1960s and was formalized in the Berlin nosology in 1988. Dr. Beighton proposed a revision of the classification of the Ehlers-Danlos syndromes based primarily on the cause of each type. This became the Revised Nosology, Villefranche 1998 to replace the Berlin nosology. In it six subtypes of Ehlers-Danlos syndromes were described. Now Ehlers-Danlos syndrome became Ehlers-Danlos syndromes. Why look back to 1988? If you are in your 40s, or 50s, or older you can offer a better answer to anyone. For some of you, it took decades to get a diagnosis. Back in 1988, you were one of the people that Dr. Beighton and his colleagues were looking to find a more specific term to describe what you had. Over the past two decades, the Villefranche Nosology, which delineated six subtypes, has been widely used as the standard for clinical diagnosis of Ehlers-Danlos syndromes. The International Ehlers-Danlos Syndromes Consortium proposes a revised Ehlers-Danlos syndromes classification, which recognizes 13 subtypes. COMMENT: The various subtypes of Ehlers-Danlos Syndromes require molecular testing to confirm the diagnosis, except for the hypermobile type. The papers listed above and this paper published in June 2016 in the medical journal Disability and rehabilitation (6) suggests that medical research seems to be stuck. Here a reiteration of the problems expressed in the 2015 and 2017 studies listed above. This research comes from Appalachian State University whose doctors sought to help provide answers for patients. Here are their bullet points. “Ehlers-Danlos Syndrome is a complex, multi-systemic condition that can be difficult to diagnose and poses challenges for healthcare practitioners who engage with Ehlers-Danlos Syndrome patients in holistic care. 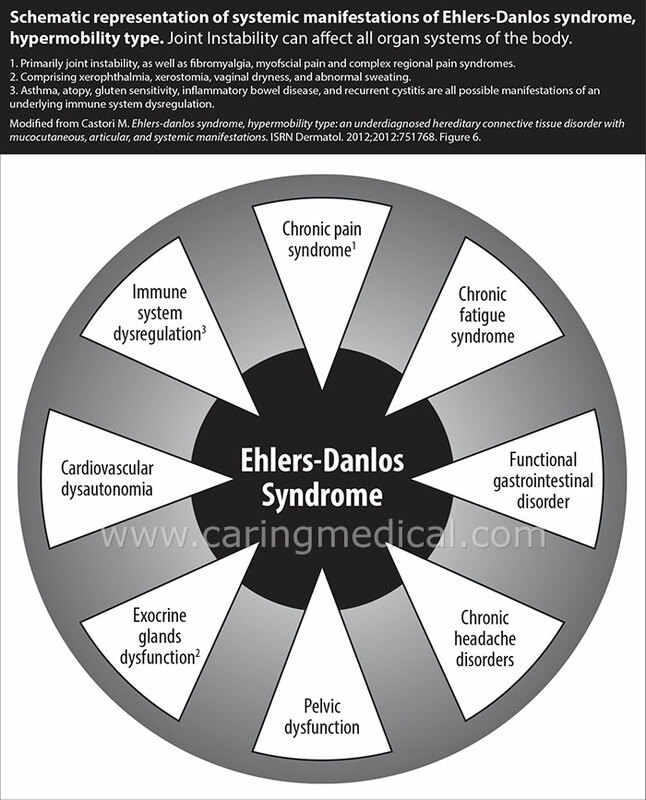 Improved healthcare provider knowledge of Ehlers-Danlos Syndrome is needed, and additional research on the co-occurring diagnoses with EDS may assist in comprehensive pain management for Ehlers-Danlos Syndrome patients. Ehlers-Danlos Syndrome is a group of connective tissue disorders associated with defective production of collagen, which can dramatically reduce musculoskeletal functioning by symptoms of joint laxity and frequent dislocations eventually leading to disability. Respondents to an online survey reported having to seek out confirmation of their Ehlers-Danlos Syndrome diagnosis with multiple physicians, which implies the difficulty many people with Ehlers-Danlos Syndrome face when trying to gain access to appropriate treatment. The researchers examined the medical records of 205 patients with EDS (ages 6-19 years) seen in sports medicine or orthopedic clinic at a large pediatric hospital over a 5-year period. Female (147) and male (57) patients were identified (mean age 12.7 years old). The most common EDS subtype (55.6%) was hypermobility type. Patients had between 1 and 69 visits (average 4), and 764 diagnoses were recorded. Nearly one-half of patients (46.8%) received a general diagnosis of pain because no more specific cause was identified. in addition to 8.3% who were diagnosed with chronic pain syndrome. Over three-fourths (77.1%) of patients had imaging. Most (88.1%) were prescribed physical therapy and/or other conservative measures, such as rest (40.5%), orthotics (35.6%), and medication (32.2%). Surgery was recommended to 28.8% of the study population. The researchers concluded: Despite extensive workup, the etiology of pain may not be identified. Large numbers of office visits, imaging studies, treatment prescriptions, and specialist referrals indicate considerable use of medical resources. Comment: As above, we have a patient with a lot of health challenges. The many doctors and many tests they had come up with no answers. Referring to the Norwegian study above: “This may indicate one of the reasons why prognosis for these patients is poor.” In other words, the patients do not get better. Not to say anything about the toil on the family and patient. Although the new 2017 EDS nosology has brought attention to EDS, patients still have trouble to find fast access to correct diagnosis and treatment. Not many physicians have been trained to recognize EDS or do not know how to treat it. In many European countries and beyond, there are no diagnostic centers or experts available to patients. Most patients with EDS suffer from generalized joint hypermobility, chronic widespread pain, and fatigue. Pain treatment is complex and usually requires the guidance of a specialized pain clinic and the support of an integrated rehabilitation program. Because of the tissue fragility, conservative treatment is preferred over surgery. To improve daily life functioning, many patients need orthotics to stabilize hypermobile joints, mobility aids, aids for self-care and household, etc. Unfortunately, the needs of patients are often misunderstood, because their main problems are ‘invisible’. For instance, joint hypermobility is difficult to observe, unless evaluated with specific clinical tests. At present, EDS is not curable, but only ‘treatable’. Patients presenting pain require multidisciplinary care, including pain medication, intensive physiotherapy, podiatry, psychology, occupational therapy, and adequate bracing. Often a holistic or alternative approach is complementary to normal treatment. Unfortunately, many treatment options are not reimbursed, even when they improve the quality of life of patients with EDS significantly. At present, a good number of patients are not taken seriously or even accused of hypochondria, Munchausen or Munchausen-by-proxy. As such, psychiatric diagnoses sometimes precede the actual diagnosis. Furthermore, psychological follow-up is sometimes needed, considering the fact that the long road to the correct diagnosis and correct treatment of the symptoms often contributes to anxiety and depression. In this video, you will meet our patient, Louise, watch her brave battle with Ehlers-Danlos Syndrome, and see the courage it took for her and her family to travel from Europe to come to Caring Medical for Prolotherapy. Since her treatment she has been able to go back into sports she thought she would no longer be able to participate in. 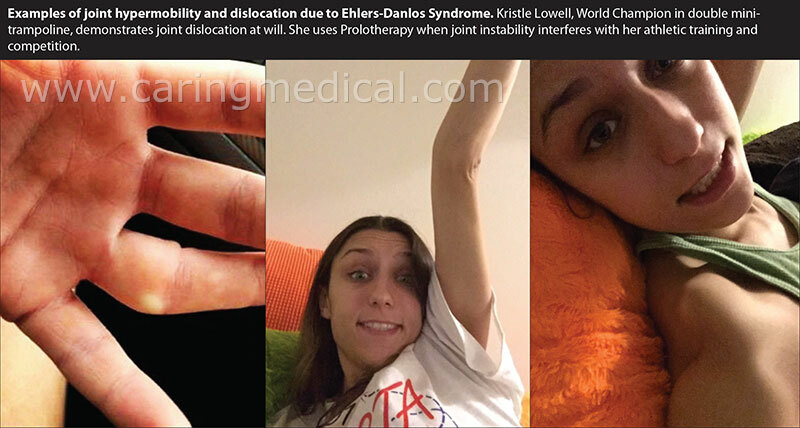 Louise is a wonderful example of the Prolotherapy as a treatment for Ehlers-Danlos Syndrome. We are grateful for her and her mother’s wish to share their story. According to the United States Department of Health National Institute of Health, Hypermobile Ehlers-Danlos syndrome (hEDS) is diagnosed based on the presence of characteristic signs and symptoms, because there is no specific test available. There is a range of conditions which can accompany hEDS, although there is not enough data for them to become diagnostic criteria. While they’re associated with hEDS, they’re not proven to be the result of hEDS and they’re not specific enough to be criteria for diagnosis. Some of these include sleep disturbance, fatigue, postural orthostatic tachycardia (POTS), functional gastrointestinal disorders, dysautonomia, anxiety, and depression. These conditions may be more debilitating the joint symptoms; they often impair daily life, and they should be considered and treated. One point for each elbow that bends backward. One point for each knee that bends backward. One point for each thumb that touches the forearm when bent backward. One point for each little finger that bends backward beyond 90 degrees. Unexplained striae (stretch marks) or rubrae (lines) at the back, groins, thighs, breasts and/or abdomen in adolescents, men or prepubertal women without a history of significant gain or loss of body fat or weight. Atrophic scarring involving at least two sites (Atrophic scarring are depressions in the skin commonly referred to as pockmarks). b. Medical confirmation of joint instability at two or more sites not related to trauma. The absence of unusual skin fragility, exclusion of other heritable and acquired connective tissue disorders including autoimmune rheumatologic conditions, and exclusion of alternative diagnoses that may also include joint hypermobility due to poor muscle tone (hypotonia) and/or connective tissue laxity. Generalized joint hypermobility leads the patient challenges to also be called joint hypermobility syndrome (Hypermobility Spectrum Disorders). The connective tissue of individuals with this syndrome neither forms nor heals properly. Headache is reported in 1/3 of the patients. Migraine is the most common type. Other possibly related headache disorders include tension-type headache, new daily persistent headache, headache attributed to spontaneous cerebrospinal fluid leakage, headache secondary to Chiari malformation, cervicogenic headache and neck-tongue syndrome, whose association still lacks of reliable prevalence studies. The underlying disease causing problems seems complex and variably associated with cardiovascular dysautonomia (the autonomic nervous system is disrupted causing irregular heartbeats and blood pressure drops), cervical spine instability and temporomandibular joint instability/dysfunction, meningeal fragility, poor sleep quality, pain-killer drugs overuse and central sensitization (A constant and heightened sense of pain). Particular attention is posed on a presumed subclinical cervical spine dysfunction. Further, these patients reported low understanding of their illness and associated symptoms, and moderate belief that their illness can be kept under control through self-management or (improper or ineffective) treatment. This may indicate one of the reasons why prognosis for these patients is poor. Comment: We have a patient with a lot of health challenges. They have been told to self-manage or get treatments, which we will cover below that were in many cases inappropriate. “This may indicate one of the reasons why prognosis for these patients is poor.” In other words the patients do not get better. The patients could get better if they knew what their disease was and what how to come up with a more holistic (whole body) treatment approach. Let’s revisit the paper we cited above published in June 2016 in the medical journal Disability and rehabilitation. Let’s look at the problems of the treatment options noted in this research. With new research of the hazards and side-effects or opioids and other painkiller medications can we really call a lifetime dependency on medications the MOST effective treatment? Surgeries may be risky due to very sensitive inner organs as well as an inclination to sprains and dislocations. Nerve blocks may be effective for those with multiple failed treatments or “no other way,” to alleviate their pain. We believe Prolotherapy offers great hope to those with symptoms of hypermobility because it is designed to successfully treat the ligament and tendon laxity that accompanies Ehlers-Danlos Syndrome and Joint Hypermobility Syndrome, as well as strengthen the joints in the body. If we take splints and braces, heat therapy, and physical therapy treatments at face value we find a group of treatments that seek to stabilize a painful joint (hold it together with splints and braces), bring circulation to the joint, (heat therapy), stresses movement (physical therapy) to build up strength in the joint. These are all part of the therapeutic properties of Prolotherapy injections. Our research Prolotherapy and Ehlers-Danlos Syndrome (hEDS) and Joint Hypermobility Syndrome (Hypermobility Spectrum Disorders (HSD)). Above we cited this research in the Journal of Prolotherapy in 2013. The full research can be downloaded as a PDF file – Treatment of Joint Hypermobility Syndrome, Including Ehlers-Danlos Syndrome, with Hackett-Hemwall Prolotherapy. While traditional medical treatments including education and lifestyle advice, behavior modification, physiotherapy, taping and bracing, exercise prescription, functional rehabilitation and pain medications offer some symptomatic control, they do little in regard to curbing the progressive debilitating nature of the diseases. The excessive joint mobility with its subsequent joint degeneration and multiple joint dislocations, can then lead the individual to seek out surgical intervention, which has suboptimal results in the hypermobile patient population versus the normal population. As such, some patients with Ehlers-Danlos Syndrome (hEDS) and Joint Hypermobility Syndrome (HSD) are seeking alternative treatments for their pain, including Prolotherapy. Prolotherapy offers great hope for those with symptoms from generalized hypermobility because it is designed to successfully treat the ligament and tissue laxity that accompanies Ehlers-Danlos Syndrome and Joint Hypermobility Syndrome. Prolotherapy works by initiating a brief inflammatory response, which causes a reparative cascade to generate new collagen and extra cellular matrix giving connective their strength and ability to handle strain and force. Prolotherapy has a long history of success treating ligament injuries, including patients with joint hypermobility. 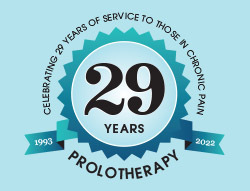 Studies on Prolotherapy have shown that it eliminates chronic pain even in those patients who have been told by their medical doctor(s) that surgery was the only treatment option for their pain. and it provides joint stabilization. Perhaps its greatest asset is the fact that this one treatment modality can handle most of the painful musculoskeletal conditions that occur in individuals with Ehlers-Danlos Syndrome and Joint Hypermobility Syndrome. Ehlers-Danlos Syndrome causes pain when the force on the joint tissues is greater than the strength of those tissues. When the ligaments can no longer hold the adjacent bones in place, the medical condition is called joint instability. The extreme form of joint instability is joint dislocation. Kristle Lowell, the 2013 World Champion in Double Mini-Trampoline can dislocate many of her joints. (See Figure 4.) Her story is a common one heard from those suffering from EDS. When Kristle started gymnastic training as a child, she knew she had excessive flexibility, but this also helped her excel. Her flexibility allowed her to perform certain maneuvers that the other children could not. She suffered her first serious injury in 2014, a severe ankle sprain. Afterward, the ankle would pop and click constantly, and the pain was extreme with sprinting, which is a vital component of double mini-trampoline. The sprint is what provides the momentum to do all the turns and flips during the routine. Sprinting and landing became extremely painful, enough so that the injury precluded her from competing at the 2014 World Championships. It was during this time that she was diagnosed with EDS. Kristle received corticosteroid shots, which provided temporary relief, however, the ankle pain and instability progressed. She tried physical therapy, though it did not help. The ankle pain and clicking were constant. Like many with EDS, she lived with the fear that at any moment her ankle would sublux and possibly dislocate. Sometimes, just the simple act of getting out of bed would cause the ankle to move out of its normal location. Depression started to set in. 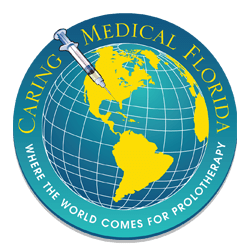 Kristle came to Caring Medical Regenerative Medicine Clinics in Chicagoland (second location in Fort Myers, Florida) for an evaluation. Upon physical exam and MRI review, it was clear that she had significant ligament damage in both the front and back of her ankle. Her most significant instability was in the posterior ankle. 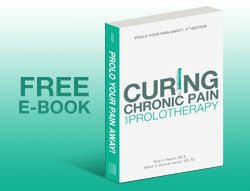 As her physician, I was confident Prolotherapy could help her. She received her first Prolotherapy session in March of 2015. Over the course of the next weeks, she reported a tightening of her ankle to the point where it was no longer dislocating. She was able to return to training full-time. After Prolotherapy, she came in second in double mini-trampoline at the 2015 USA Gymnastics Championships, which are the national championships for trampoline/tumbling, acrobatic gymnastics and rhythmic gymnastics. She qualified for the U.S. World Championships Team for the 2015 World Championships in Odense, Denmark. After the national competition, she came in for one more Prolotherapy treatment to help tighten her ankle ligaments so they could withstand the rigor of training for the World Championships. Since receiving Prolotherapy, Kristle continues to receive both National and International competitions including placing first in the 2017 Winter Classic in Battle Creek, Michigan and first in the 2016 USA Gymnastic Championships in Providence, Rhode Island.